A School Travel Plan is a written document showing how your school community can reduce car journeys to and from school, make journeys safer and encourage more active, sustainable modes of travel such as walking or cycling. Why do we need a School Travel Plan? It is a way of getting everyone to actually do something about problems such as congestion from school-run traffic. It means more children can get to enjoy the health, social and environmental benefits of walking or cycling to school safely. It gives you all a structure to work to and helps you to realise the progress you are making. There are educational benefits; school travel plans can be linked into the curriculum in many ways. They are also used to help achieve Eco School status or Healthy Schools awards. OFSTED inspectors look favourably on schools which are implementing a good school travel plan. The reputation of the school can be greatly enhanced by putting a good, effective travel plan into action. Who Will Write Our School Travel Plan? It needs to be written by someone within the school such as a senior teacher. However, it is important that they are helped by a team who have a real interest in it and can work together as a group; teachers, teaching assistants, governors, parents, pupils and others. Also ask your local authority School Travel Advisor for help; it is their task to support schools who want to develop a school travel plan so they will be keen to help! What Goes into a School Travel Plan? Description of the school: Include name of school, type (eg primary, LEA, special needs), size (no of pupils, staff), location (address, rural/urban, catchment area, local road links, public transport), ethos (policies relevant to travel, eco award, healthy schools). Information Gathering: find out what your school is already doing, such as cycle training, curriculum links to travel, involvement in events such as walk to school week. Survey: You need to survey others to find out about the current travel situation including problems and possible solutions. This includes how pupils usually travel to school, how they would prefer to travel and what the issues are (eg what is stopping them from walking or cycling). Issues: Once you have identified the main issues and priorities you can decide what you want to achieve. Set yourself clear objectives and then develop your action plan, agreeing who is responsible for different tasks and when they will be completed by. Signatures: The Head teacher and Chair of Governors need to approve and sign off a school travel plan if it is being submitted to the local authority. Progress: If you haven’t already, get going with putting your ideas into practice. Keep an eye on how you are doing by noting your progress and successes. One great way to do this is for the school council to maintain a ‘school travel diary’ with reports on all activities including photos and any press coverage. More information: contact you local authority school travel advisor. Sustrans publish a guide on school travel plans and a newsletter with lots of practical ideas. 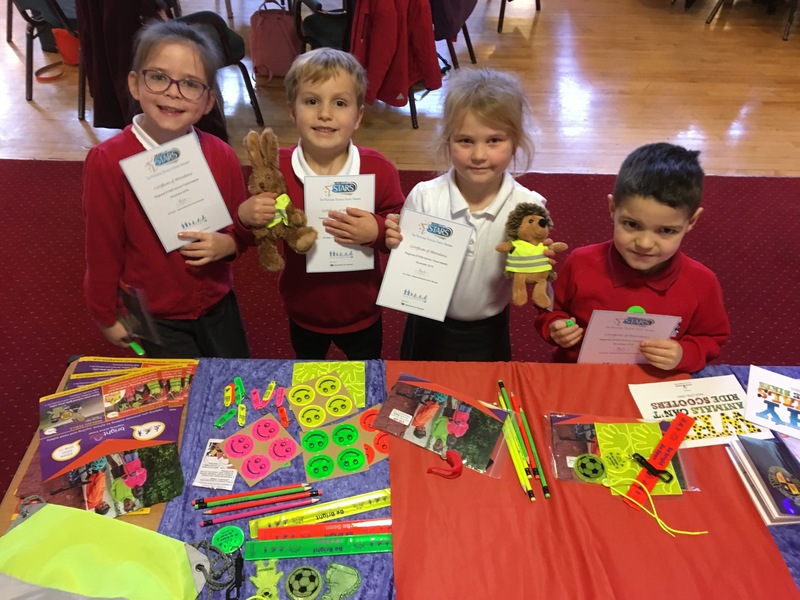 Pupils from Riddings Infant School were awarded Regional School of the Year for their excellent travel plan and the work they have done with it.